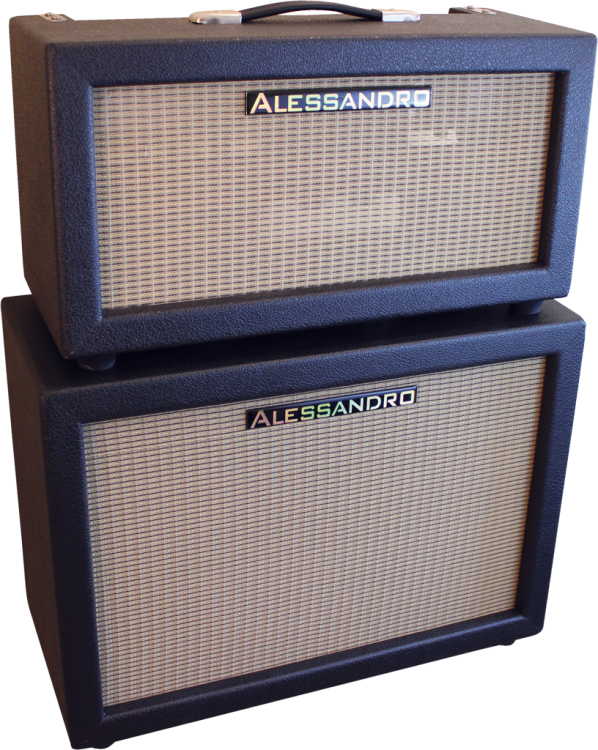 Alessandro’s Crossbred series of amps are hand-built, boutique-quality amps at affordable prices. The logical evolution from George’s “Working Dog” line, these are a lot of amp for the money, and are impressive in every aspect. The Crossbred Mutt is an extremely straight-up amp, built as a robust and uncompromising platform, with the aim of sounding great at any setting – and requiring little-to-no fuss to get there. The controls are simple: volume, reverb, treble, middle, bass and final output power (a voltage-reduction control rather than master volume), and there’s a jangly/creamy switch to re-voice it all at the front end. Approximately 40 watts of power comes from a pair of 6L6/5881 tubes in fixed-bias Class AB1, while two 12AX7s and one 12AT7 drive the preamp, reverb and phase inverter. Rectification comes from solid-state diodes. Speaker Cab Open-back 1×12 cabinet with AHEP Neo speaker – $850 U.S. Check out the review in Guitar and Bass Magazine.